1. 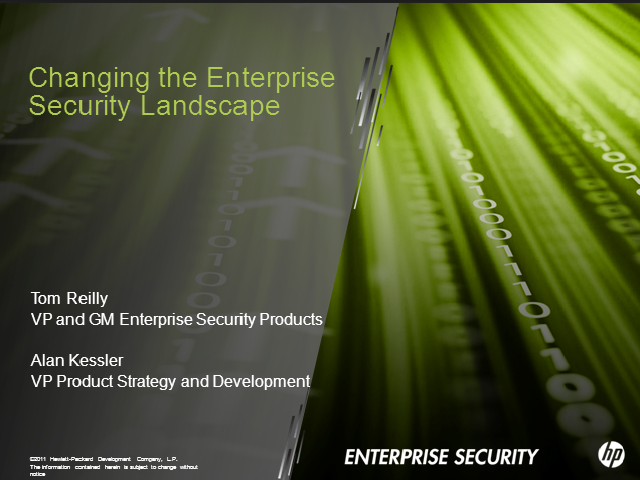 How to create a proactive security posture to meet the changing security landscape. 2. What HP is doing in terms of delivering solutions and products that enhance existing products to address the threat landscape enterprises face today. 3. A quick view into how HP has already leveraged ‘better together’ in our products.